All other reservations are first come, first serve. Events held in the chapel are normally considered to be open to the public; no admission is to be charged. Fund-raising events may not be held in the chapel. Exceptions will be made at the discretion of the chapel director. Space in the chapel is limited. Submitting a request below does not guarantee you the room. We suggest considering several date and time options to maximize your chance for accommodations. 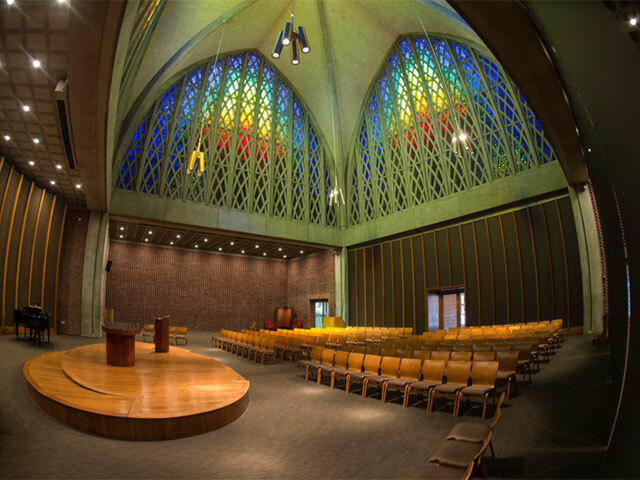 If your event is canceled, please contact the Interfaith Chapel immediately. We reserve the right to move your event to a different location within or outside of the Chapel if the space is needed for Chapel events. Events can be scheduled outside of business hours, however they are subject to event staff availability and additional staffing fees. 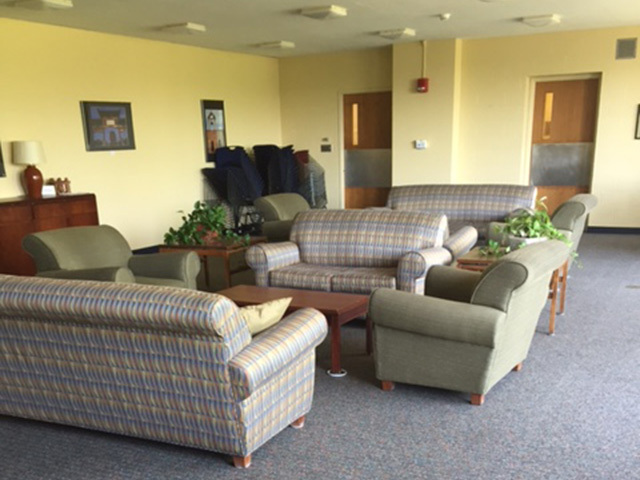 We ask you to be considerate of your surroundings as many different groups often meet at the same time throughout the building. To change an existing request, please use the Modify Room Reservation Form. Located on the street level, this is a sacred space primarily used for religious purposes, including weddings and memorial services. 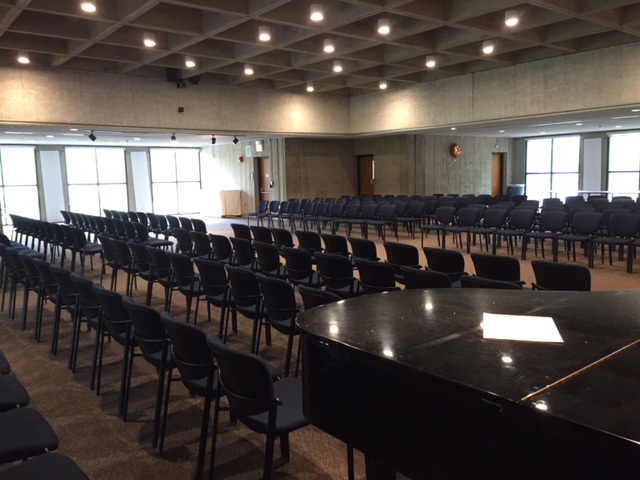 It may also be used for lectures, conferences, and music recitals, as long as these events are appropriate to the space. Default seating capacity is 190 chairs, however the room can be set to accommodate up to 490 guests for an extra fee. Maximum reservation time is four hours.